Dazed Digital: How did you hook up with CCP? Nicola Formichetti: A mutual friend introduced me to Mary Lee, CCP's digital fashion editor, and we began this collaboration. Our first collaboration was to create a life size avatar with clothes designed by me for my pop up store Nicola's during New York Fashion Week. Nicola Formichetti: We call it 'sophisticated technology'. Through the use of CCP's Carbon technology graphics, the virtual runway became a fully interactive, real-time virtual catwalk experience. DD: What was the biggest technological challenge when making this film? Nicola Formichetti: Nothing really. I was working with tech teams in Iceland, China and New York. Like how I work normally. Everyone was such a professional actually, we all used our own skills, there really wasn't much of a challenge. DD: How is designing for an avatar different from a real life model? Nicola Formichetti: When doing digital design you have more options to work with, you can change the designs on the spot rather then being limited by fabric and patterns, digital fashion gives you unlimited options immediately. DD: What's the relationship between fashion and technology today? Nicola Formichetti: The two worlds are just now beginning to come together and as we continue to push the boundaries, just like this virtual project, we will continue to explore what is possible and where fashion and technology will continue to merge. It's exciting! Nicola Formichetti: Fashion and technology will become one, virtual fashion will become a core part of the fashion industry. DD: What was the inspiration behind the particular items Rick wears? 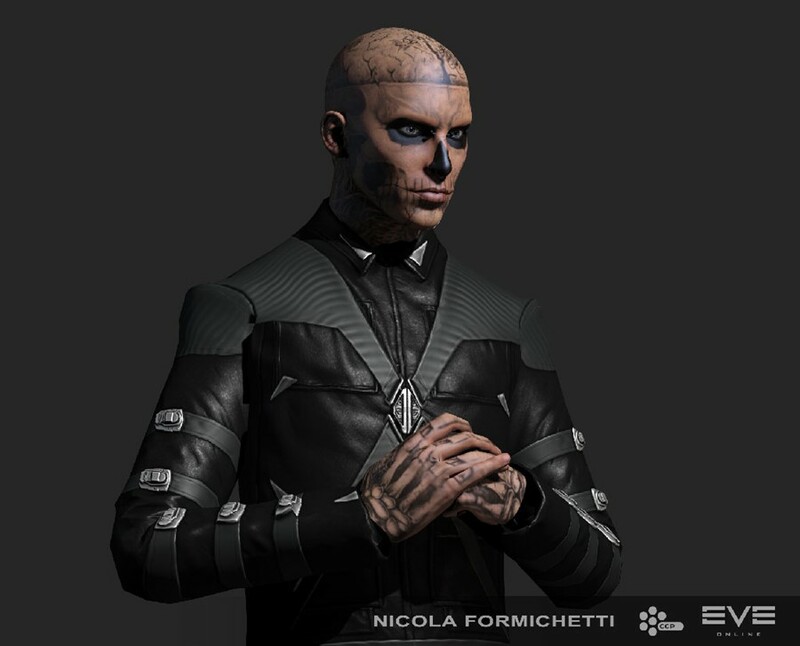 Nicola Formichetti: EVE is a serious game, I was inspired by the toughness of the the environment and the reality one would wear in CCP's future universe. Nicola Formichetti: To continue to pursue digital fashion and all forms of technology that is emerging in the world.